We respond to the reality of our world by opening further. 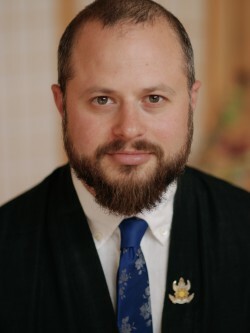 Acharya Adam Lobel is a teacher in the Shambhala tradition, a Buddhist minister, and a scholar of philosophy and religion. ​Adam began the path of meditation when he was 16 years old after his first taste of real pain, outrage at social and ecological injustice, and wondering a bit too much about what reality was all about. He soon encountered the writings and vision of the Tibetan meditation master, Chogyam Trungpa Rinpoche. Inspired by the path of warriorship and the vision of enlightened society, he pursued meditation retreats and training in the Shambhala Buddhist path. Adam traveled in Tibet, Nepal, and India, studying Buddhism with masters from various traditions. He pivotally connected with Sakyong Mipham Rinpoche, head of the Shambhala lineage, while on retreat in Parphing, Nepal in 1997. After completing an undergraduate degree in Anthropology, Adam attended Vajrayana Seminary and then traveled as the personal attendant to the Sakyong; accompanying him on a tour of Tibet. He was co-editor of the Sakyong’s book Turning the Mind into an Ally. Adam leads meditation workshops, courses on Buddhist philosophy and the social vision of Shambhala. Adam is also the Acharya for the Mipham Academy, an advanced, annual intensive for Buddhist philosophical and contemplative studies at Karme Choling, Vermont. He teaches meditation to youths within the prison system and a mental health institution. He was named an Acharya in 2004 and completed a Masters of Divinity at Harvard Divinity School, where he is helping to establish a track for Buddhist ministers and chaplains. His research focuses on philosophy, phenomenology, meditation, and the Great Perfection tradition of Tibetan Buddhism. In 2008, the Sakyong named Acharya Lobel the Kalapa Acharya. The Kalapa Acharya presides over the Pillar of Practice and Education within Shambhala. Acharya Lobel is particularly responsible for curriculum and path development as well as training Shambhala teachers. Adam is a doctoral candidate at Harvard University and lives in Pittsburgh, Pennsylvania. He has an eight-year-old son, Javin, who is a Jedi Knight in training.